The Hollis Brookline High School Honors Jazz Band is playing as a whole ensemble. They were one of the 11 bands which attended the NHBDA Jazz Clinic. “It’s very nice to have probably some of the best musicians in the region help give you a lesson,” said Jack Sinclair ‘19. From left to right: Front row: Cayden Plummer ‘21, Zach Sommer ‘21, Dhruv Miglani ‘19, Anderson Steckler ‘20, Spencer Murray ‘21. Second row: Katie Hinchliffe ‘19, Caroline Pack ‘19, Jack Sinclair ‘19, Dan Aulbach ‘21, Lily Jackson ‘20. Third Row: Amy Norton ‘19, Mike Moscatelli ‘19, Caleb Clark ‘20, Justin Surette ‘21, Julia Pepin ‘19. On Jan. 26, Hollis Brookline High School hosted the New Hampshire Band Directors Association (NHBDA) Jazz Clinic. This event invited middle and high school jazz bands from across the state to work with professional musicians and hear them play in a concert. For the past ten years, besides one cancellation due to snow in 2015, HBHS has hosted this jazz clinic. Schools taking part in the jazz clinic can come for either the morning or afternoon session, where students can work with one of the three visiting jazz band directors as a whole ensemble and go to the sectional clinic for their instrument. There’s also a free period for students to observe other schools in their ensemble clinics. The morning and afternoon sessions converge in the middle of the day with lunch and a short concert from the clinicians. The clinicians for this year came from all across the world of jazz. There were nine of them in total: two for the ensemble clinics and six for the sectional clinics, including John Hunter, Bob Gullotti, Bryan Bergeron Killough, Earl MacDonald, Carl Benevides, Karen Sayward, Dr. Nathan Jorgensen, Jay Daly and Tim Atherton. Throughout the day, 11 total groups visited HBHS to take part in the clinic. HB provided three of those groups: the middle school’s Jazz Band, high school Jazz Band and Honors Jazz Band. Some schools, like Souhegan High School, Pinkerton Academy and Timberlane Regional High School have been attending this clinic since it was first created. The others, including Milford High School, Keene Middle School, Pennichuck Middle School, and Nashua High School South, haven’t participated for all 10 years, but have still attended before. For every band, this event has become a learning experience that students partake in multiple times before they graduate. At HB, students may even get the opportunity to attend six times throughout both middle and high school. This repeated exposure to new professionals is what makes this opportunity particularly great. 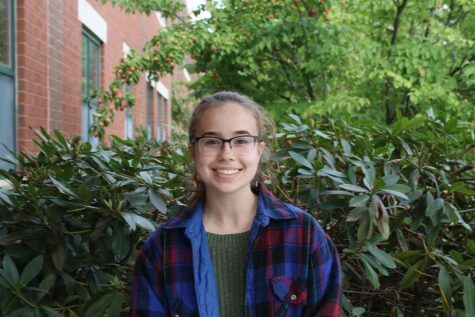 “A single [clinic] is good, but a real benefit is the fact that we get to experience it over and over,” said Dave Umstead, the Honors Jazz Band and Jazz Band director at HBHS. Listening to and working with clinicians is an effective way for students to learn, but merely sitting in on other ensemble clinics has its benefits too. Students from each school can listen to different schools’ bands, many of which have some of the best high school jazz players in the state, and can gain insight from what the clinicians have to say to them as well. “It was a good way to improve my own playing just by listening to feedback that other people had,” said Norton. 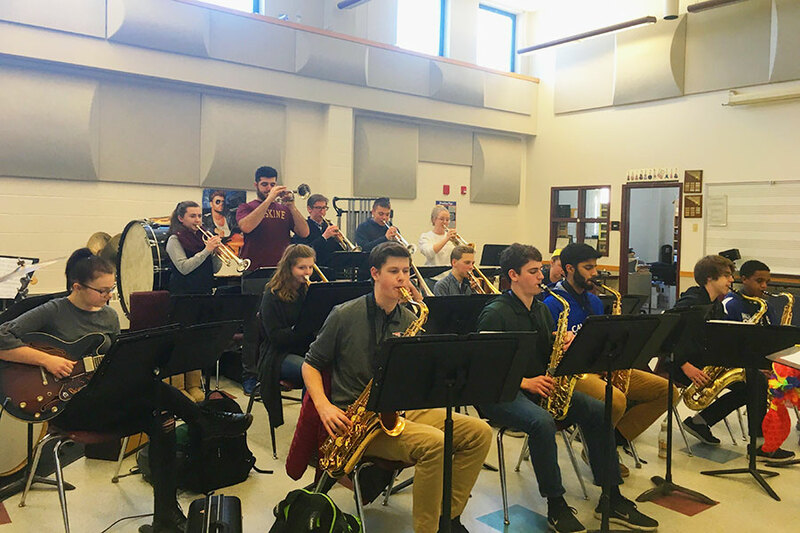 The 2019 NHBDA Jazz Clinic has been another successful addition to the years of jazz education the students of HB and other NH schools, and HBHS is looking forward to hosting this event again next year.